Hewlett Packard Enterprise on Wednesday announced several software and hardware products to more securely manage the exploding universe of Internet of Things devices. October's Mirai botnet attack on unsecured IoT devices, which halted widespread access to dozens of popular internet sites, dramatizes the value of more comprehensive management and control of IoT, HPE executives said in interviews. Some of HPE's new products are intended for use by virtual cellular network providers, while others are for small and medium-sized enterprises to use in managing their local area network (LAN) operations. The new HPE Mobile Virtual Network Enabler software will help virtual network operators, which resell IoT connectivity, with their network provisioning, configuration, administration and billing services. These virtual network operators could work with auto makers and manufacturing plants, for example, that need cellular connectivity to communicate with IoT sensors inside vehicles or connected to robots inside plants. Pricing for the Mobile Virtual Network Enabler (MVNE) was not announced. However, HPE's IoT General Manager Nigel Upton said it will help so-called "overlay" network providers of IoT to build out networks at far lower prices. HPE also announced improvements to its existing carrier-grade Universal IoT platform, including expanded device management for both SIM (Subscriber Identity Module) and non-SIM devices across multiple systems and applications. A SIM is a device used in every smartphone to uniquely identify it over a wide area network (WAN), but many IoT devices operate in local area networks, such as inside a manufacturing or industrial facility, and don't require a SIM to function. Zeus Kerravala, an analyst at ZK Research, said in a statement that HPE MVNE and related products can help with massive IoT overlay network deployments since these products will "significantly shorten deployment times and simplify the network architecture, which will also improve security." To help enhance LAN security with IoT, HPE's Aruba business also announced Aruba ClearPass Universal Profiler software and the Aruba 2540 IoT-ready access switch. 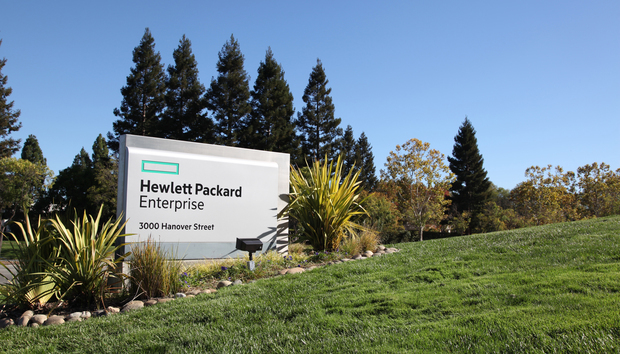 The two products will help IT shops identify and inventory all IoT devices as they connect to the network, which is designed to drive down the per-port cost of wired IoT connections, HPE said. The new profiler will help IT managers inventory which IoT devices are on wired and wireless networks installed by multiple vendors and then assign profiles to each device. For example, a profile on a user’s device might be used to allow only Human Resources workers to access sensitive personell information. The new 2540 switch will help IT shops extend such role-based access across a wired or wireless LAN. Each switch, available now, starts at $2,589. The profiler is available in the first quarter of 2017, starting at $150 for profiling up to 100 devices, Aruba said. Scott Brown, advanced network engineer for video game and consumer electronics retailer GameStop, is an early customer of the Aruba 2540 switch. GameStop operates more than 7,000 retail stores from its headquarters in Grapevine, Texas. The company has been converting to Aruba gear at its campus headquarters buildings after working exclusively with Cisco networking gear for years, Brown said. Aruba's products make it possible to converge information about devices used on both the company's wireless and wireless networks, he said in an interview. Brown uses an earlier version of Clearpass that includes some profile capabilities, but GameStop doesn't use a standalone version of the new profiler product. "The wired side was always a mystery, but now we can converge that with wireless so the management looks the same for both," he said. Part of the company's interest in adding Aruba products comes after HPE bought Aruba eight months ago. GameStop already had HP servers in its server farm, so it made sense to work with HPE networking products. The new switch has only been in place about a month and isn't completely tested but shows promise, Brown said. For instance, he said, it has interoperability with end user devices running over Cisco wireless networks. Ultimately, Brown said GameStop could buy more of the new switches. "The goal is to have a network that somebody off the street can't plug a device into," he said. The new switch "seems like really good gear and is pretty intuitive, and our engineers have positive attitudes about it," he added. The new HPE-Aruba products are important because analysts predict a massive increase in installed IoT sensors and other devices in coming years. The past year has seen a temporary lull in enterprise IT interest in IoT, but market research form IDC is projecting an increase to 30 billion IoT installed devices by the end of 2019. The number of installed IoT devices today is less than half of that projected 30 billion and includes sensors used in lighting, water systems, surveillance devices and more. "Leveraging pre-existing network access mechanisms will be top of mind for many organizations," said Nolan Greene, an analyst at IDC in an email. "Many organizations will use wireless LAN and Ethernet connectivity to enable IoT, and as such, vendors [such as HPE] with features that secure, segment, manage and set policy for IoT may have a competitive advantage." Green said Aruba will compete head to head with Cisco for IoT connections within wireless and wired LAN networks. "The competitive dynamic will be interesting to watch," he said.